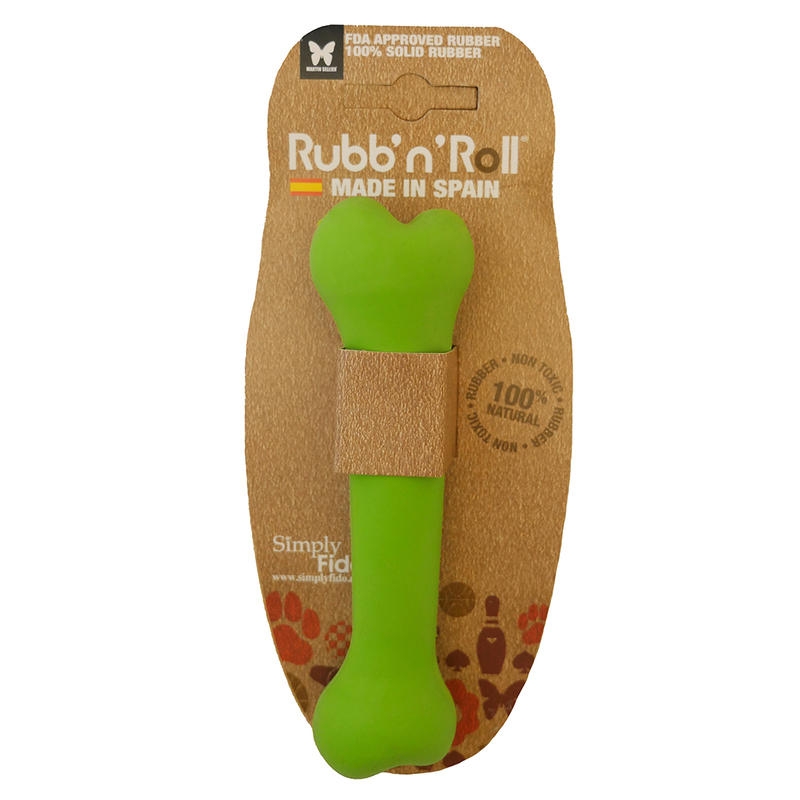 Simply Fido Rub 'n' Roll Green Bone: This durable bone is made from premium 100% natural rubber and designed to satisfy your pug’s desire to chew. It is eco-friendly, biodegradable, non-toxic, and FDA approved. Simply Fido is an environmentally conscious company creating high-quality toys for you and your pug to enjoy as you explore the world together. The bone measures about 6" long.